IRVINE, Calif., July 10, 2018/PRNewswire/ -- Specialty ingredients manufacturer HB Natural Ingredients will make its worldwide, industry debut at the Institute of Food Technologists (IFT) trade show on July 16, 2018 in Chicago, Illinois. HB Natural Ingredients is an innovative B2B manufacturer of specialty plant-based ingredients that deliver unique functionality in consumer products. Their technology-driven portfolio includes a comprehensive range of stevia extracts, such as Rebaudioside D, and licorice root extracts, such as MAG (Mono Ammonium Glycyrrhizinate). Next generation, modified stevia extracts are planned for near-term launch. The company operates globally, advancing the development of great consumer products across the food, beverage, nutritional supplements and pharmaceutical markets. HB Natural Ingredients will be exhibiting at IFT booth N6723. Team members will be discussing how consumer product technical and marketing teams can utilize stevia and licorice extracts to achieve their reformulation and new product development objectives. At the booth, visitors can sample beverage products sweetened with the company’s stevia extracts. “We’re excited about how our stevia and licorice specialty ingredients can help consumer marketers achieve their business and brand objectives,” said CEO Joseph Zannoni. “Our vertically integrated and environmentally responsible supply chain enables HB Natural Ingredients to offer superior benefits to consumer product makers, specifically quality, transparency, performance and confidence,” he added. HB Natural Ingredients is an innovative B2B manufacturer of specialty plant-based ingredients that deliver unique functionality in consumer products. The company’s technology-driven ingredients are sold into the global food, beverage, nutritional supplements, personal care, pharmaceutical and pet food markets. HB Natural Ingredients controls all phases of a sustainable supply chain from farming through processing, in an environmentally responsible manner. This produces consistent quality, excellent value and confident material traceability. 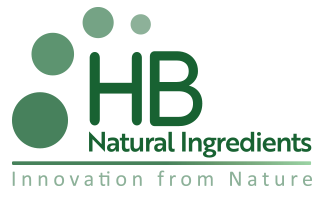 HB Natural Ingredients USA is headquartered in Irvine, CA. For more information, visit hbniglobal.com. Operating since 1939, IFT is a global organization of 17,000 individual members from more than 100 countries committed to advancing the science of food. IFT’s Annual Event and Food Expo is one of the largest events of its kind. The show attracts food professionals from around the globe representing all segments of the food profession. For more information, visit iftevent.org/.